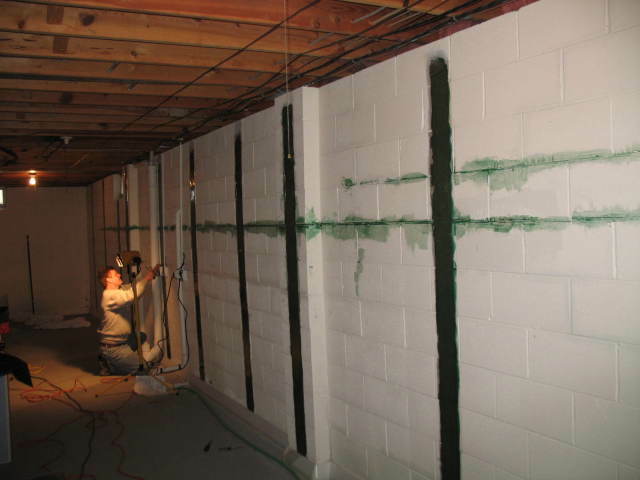 Jaco Waterproofing can professionally repair your foundation. With over 40 years experience in the foundation industry, you can rest assured that you are getting a quality job done right. 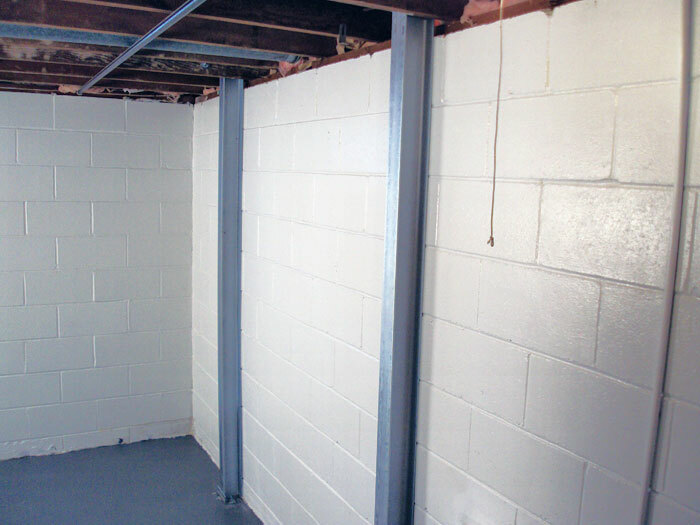 Bowed concrete block basement walls can be stabilized and straightened by our trained technicians. Jaco is fully bonded and insured. 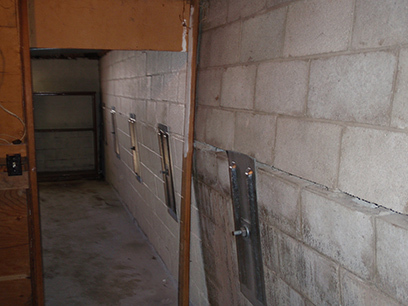 Carbon fiber straps are an economical way to re-enforce failing, bowing foundation walls. The carbon fiber is stronger than steel and takes little space in the basement. Installation is much less messy using carbon fiber versus steel I-beams. This is a customer's finished bowed basement wall repair. Jaco pushed the structurally failing wall back into vertical position. Then steel beam were installed to re-enforce the structure. Finally, the concrete blocks were mortared back into place. Jaco's experienced estimating staff will give you a professional estimate.